I had originally created the content on this post starting from some “best practices” bullet points to be later added to a PDF for Vid Attack Alpha customers and updated the notes as and when i thought of things i felt people really should be aware of. However, to avoid PDF’s getting lost i decided i would turn it into a blog post that we can link to permanently instead. If it reads link bullet points its because of that but i will come back in and work on the flow a bit later when i get more time. Over the past few days i have created some case studies using Vid Attack Alpha for fast rankings for competitive keywords and also on how to rank both video and web page on page one of google at the same time. 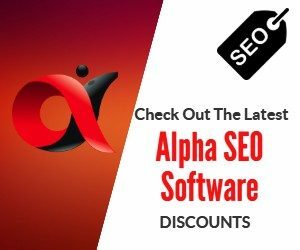 There are tons of SEO ranking strategies being touted as the next best thing, some may work well and some may work for a short time and some are just nonsense., but i can honestly say that i have never seen anything like the results i have been getting from Vid Attack Alpha campaigns. I have been testing mainly within the SEO niche and even did some testing with a website that isn’t set up properly and YouTube channels that have no optimization and yet i still find that i can get onto page one along side big authority sites like semrush, moz, hubspot, forbes, quicksprout, backlinko, webris etc. How was that for super easy “Do Follow” external linking? So here are some of my brainstorming notes for best practices of using Vid Attack Alpha below. Make sure you’re first run of Vid Attack Alpha in any campaign is using keywords or words that can be found in the title of the video and the blog post you are linking to from the video. Run approx 25 views for each keyword phrases you have for VAA to search. Start with full video title as that’s likely to be found in YouTube search quickly. After this first run check if blog posts is ranking anywhere in the SERPS, but give it time for the rankings boost to really kick in, depending on how competitive the keyword is i have seen page one in minutes and a few days for harder keywords. When creating the first keyword phrases to search then start with the FULL of blog post in google search to check if it’s started ranking, remembering there are no backlinks to money site, only the CTA relevancy clicks plus the High Retention Video views will be responsible for the web page ranking. Use main keyword in URL of your blog post and keep url short and very targeted. The Keyword you want to rank for should be within the title description and tags of your video. Add just one link in YouTube description to the web page you want to rank for the keywords you target with VA.
To rank for multiple other keywords you will need to do 1st tier backlinking to your web page, make sure you do high quality backlinks and that you use the keywords that you want to rank for in the anchor text of the backlink. Run 2nd tier links before you run first tier links, this is done by sending links to the YouTube video. I like to use video sharing site links using the bulk account creator in alpha tools and creating 300+ accounts that i re-use time and time again for backlinking the YouTube video. The quality of your content will determine if you will maintain rankings because if it is not quality content and you have initial rankings then the traffic it generated will bounce off your content fast and have the opposite effect on what Vid Attack Alpha does. I have noticed that one SEO guy in particular is using medium.com to create content for the same keywords he is targeting with content from his blog, this ranks on first page of google for him. What this is doing is getting him a link from another web page that is on page 1 for the same keywords. If doing 2nd tier links for your video you can create videos good enough for these type of backlinks quickly and easily using clipman by Josh Rata, which has templates that will pull in info and images direct from any web page or for videos that are good enough for YouTube and 2nd tier, but i suggest taking a look at viddictive by Mario Brown,. This is good for ecom and amazon affiliates. Out of the two i think that Viddictive may be best recommended option as it has some cool features for creating quick and easy facebook ad campaigns and you have more control of the video. The YouTube video however needs to be good content to keep real retention when you start to get real traffic from your rankings. For competitive keywords i would encourage running (2 or 3 if needed) 2nd tier link campaigns. This can be done easily by creating 3 videos in clipman with the same project by selective 3 different templates at the same time. Clipman will make video for each template chosen and use Video Synd Alpha to syndicate these linking to the youtube video. When you have rankings then extend your campaign for a few views each day to help maintain rankings. Other things that will help maintain rankings is a strong internal link strategy. There are multiple ways to do internal linking from lazy to correctly, but even lazy is better than not doing it at all. You can use this tool (lazy by choosing by category or correctly by adding relevant internal links manually) to add relevant post links under your content or on the sidebar. That’s 3 simple internal linking strategies that do not take a lot of time. I also suggest you sign up with izooto.com for free push notifications as they allow up to 2500 subscribers for their free account. You have options with Izooto to show the push notifications after a time delay which most people do not do. I sugest to show it between 45 second and 60 seconds after people land on your page. Get into the habit of when you create content on your blog or website to create a YouTube video with one link to that blog post or new page. And to run the second tier link strategy. Another way to help maintain rankings is to extend you’re VAA campaign after you have rankings and use drip feed options to send a few views each day, how many is needed depends on how competitive your keyword is. If you add leadifly to your website you can add people to your email list when they click a link on your site, this will ask them to authorize via facebook but it a better option than content locking and does the same thing, the main difference is that you get real email addresses. There is also another tool called “pop under pro” which can redirect people to any url of your choice when they click off your website, this is good as it gives option to do so after they click the x button and not on exit intent which rarely does anything more than irritate people who were simply browsing and not ready to click out of the page yet. If you do not yet have an autoresponder service i recommend mailerlite, this is a great service often with better features than some better known email services such as aweber for much lower cost and you do not have to set up any SMTP etc. A very cool, feature that they have is an option to automatically send emails to non opens which in my first email with them last week resulted in an extra 30% opens for my campaign. Really highly recommended this one and you can do full page overlays with their forms feature for your website too, as well as other optin form types. I really like it!